Every wedding is a very individual affair. However, we look for inspiration on Pinterest and different images of happy newlyweds pop up everywhere we look. Every year some of the wedding trends slowly go out, some of the new wedding trends sneak in and good old classics remain. Let’s look what’s been happening in the UK and what trends are predicted by wedding experts for the 2018 wedding season. Probably one of the most important pieces of the wedding (girls will agree with me). Bridal gown trend is dictated by various catwalks taking place around the world and the British brides are starting to shy away from the firm classics like princes’s dresses and a full lace A-line dresses. Instead, we can see a new full-body revealing lace dresses and a lace used in a completely new way. New romantic is in with an off shoulder, plunging neckline, ruffles, bows and two-piece crop tops with a skirt. There is also a new wave of colorful dresses with a ray of blush colors and floral patterns coming in. 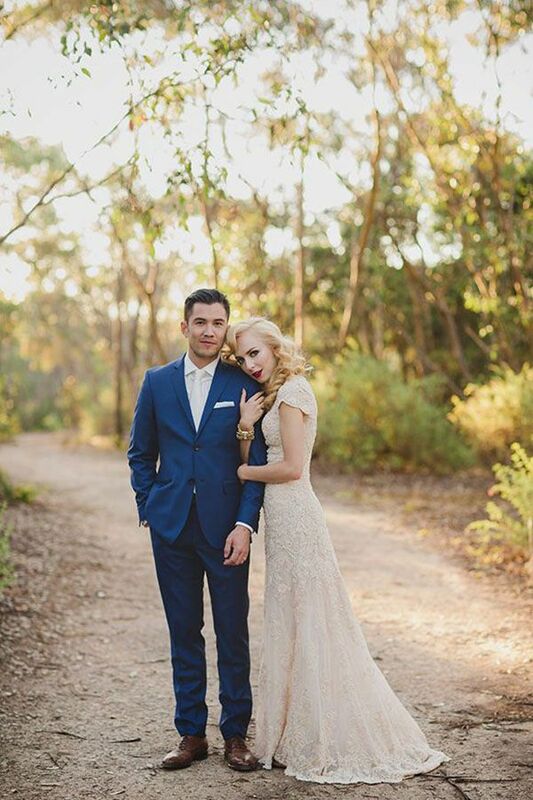 And we are loving it, no wedding day coordination is the same! Our boys are becoming very fashion savvy, and again it is a pleasure to work with. Some of the grooms are opting for tailor-made suits which is a service now widely available and a 3-piece suit can be bought from £800. Good old classics like navy suits are firmly in together with very well-known Cotswolds chic. There is a lot of accessorizing going on as well, from bow ties, ties, cravats to an open collar, all perfectly matched together. A number of bridesmaids and groomsman remain the same and it is on average 3 best friends and family on each side. But it is no longer just girls supporting the bride and not just boys supporting the groom on their big day. Bridesmaids began to wear new patterns like flowers and new textures like a full-length lace dress. 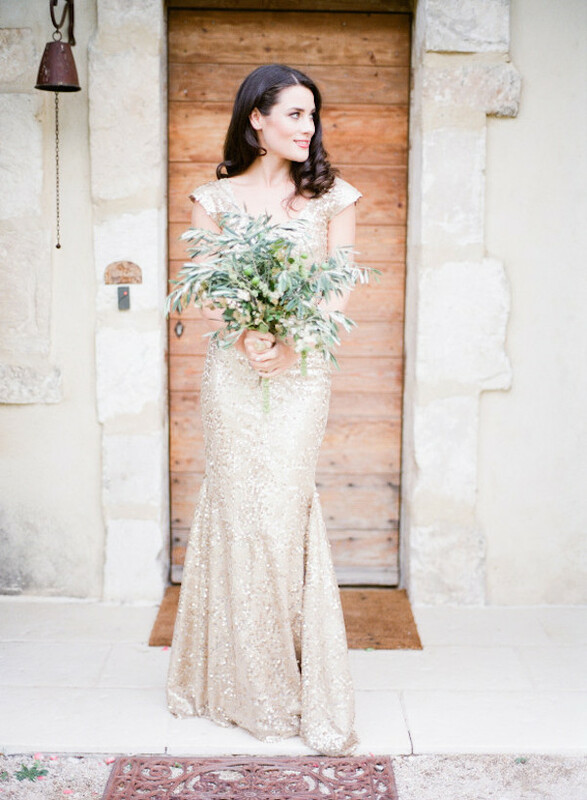 We have also seen a wave of sequin sleeveless dresses which are going to stay around in 2019 as they are very popular. Where groomsmen are looking super smart in waistcoats without jackets perfectly accessorized with a bow-tie or an open collar and brown shoes. Wedding barns are still very much sought for and couples are looking for a natural look with a natural material on display inside and out. Long oak trestle tables without table linen with coloured show plates, a flatly folded napkin, and flowers that make the room décor. Choice of unique glassware for the table is going to be asked for in 2018 and 2019. Classic vintage crystal wine glasses on the oak tables look great! We are seeing a lot more metallics and deep berry colours coming in accompanied by hanging greenery or hanging flowers. Pastel colours remain popular together with wooden logs centrepieces and mini lanterns. Candles and lighting are always a big part of the wedding as they instantly create a romantic feel. We will see candelabras dotted around the room rather than on the tables and different types of fairy lights/light bulbs hanging from the ceilings. 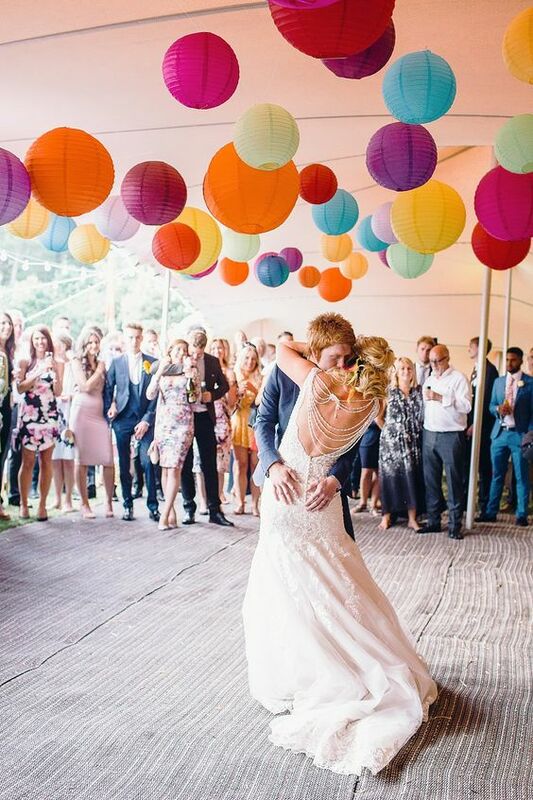 We can see bunting and chair covers going out this wedding season and hanging flowers, different material chairs and plenty of romantic lighting coming in. 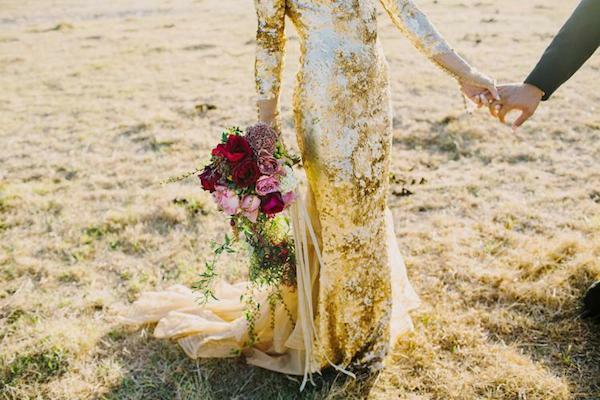 Classic vintage, bohemian and overall romance are very much in for 2018. 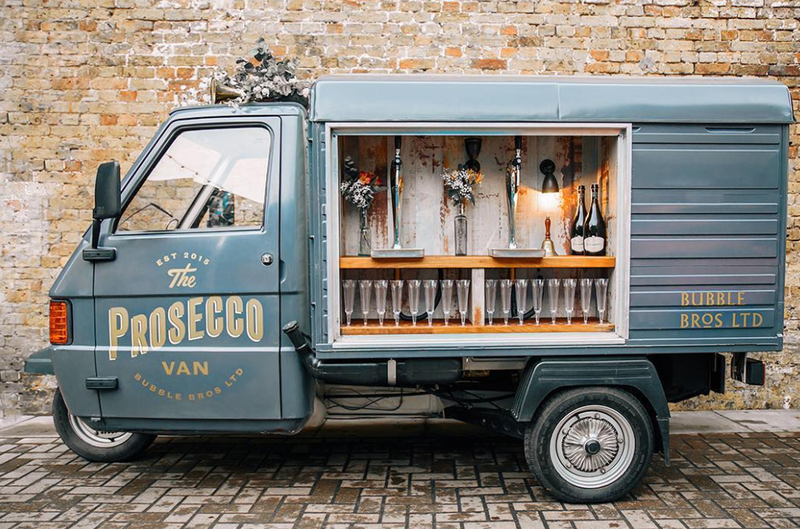 We all know that Prosecco is our favourite drink and there is plenty of it around even on tap in a Prosecco van! This is not the only drink that has made its way onto our wedding reception. There is a wide variety of cocktails and cocktail masterclasses available, which are a lot of fun, but also different casks of ales and draught lagers. The selection is out there and mobile bars, hotels, and caterers are happy to provide local specialities. Sharing platters and picnic baskets have made it onto our tables and they are a very social experience as you ‘fight’ for your piece of meat with your new friends. Not everybody is opting for a full 3-course meal and prefer a nice number of canapés instead. 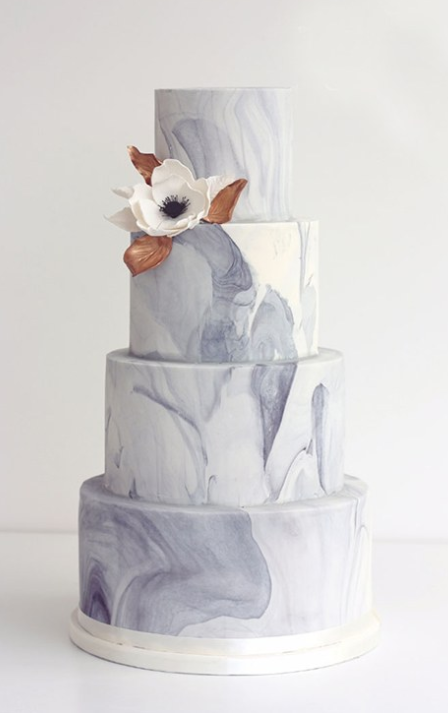 Last year’s favourite naked cake is on the way out and we see a lot of amazing designs and a variety of flavours made by talented cake makers across Britain. Metallics, dark-coloured icing and a raw-material look make a statement centrepiece. 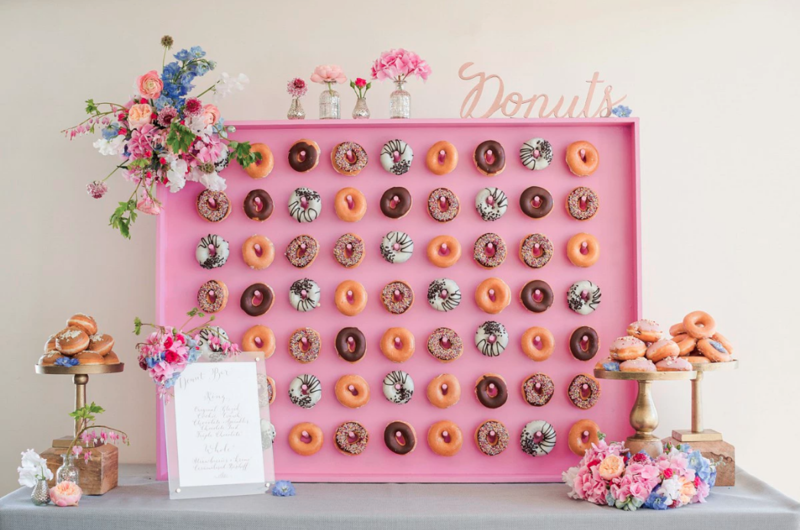 New favourite instead of the cake or previously cupcakes, is a now-famous doughnut wall. It looks great, it smells great, it tastes great! What’s not to love. ?